Selfie addiction that is growing into a bigger beast each day is more than a vanity affair, suggest experts. It’s a love that borders on obsession. Pandering to the ego, ignoring moderation, morphing into compulsion, spiralling out of control… And often proving fatal. In Greek mythology, Narcissus fell so deeply in love with his own beauty when he chanced upon his reflection in a pool, that he stared transfixed and awed, unable to move away and get on with life, and stared at himself until he died. Cut to 2017. 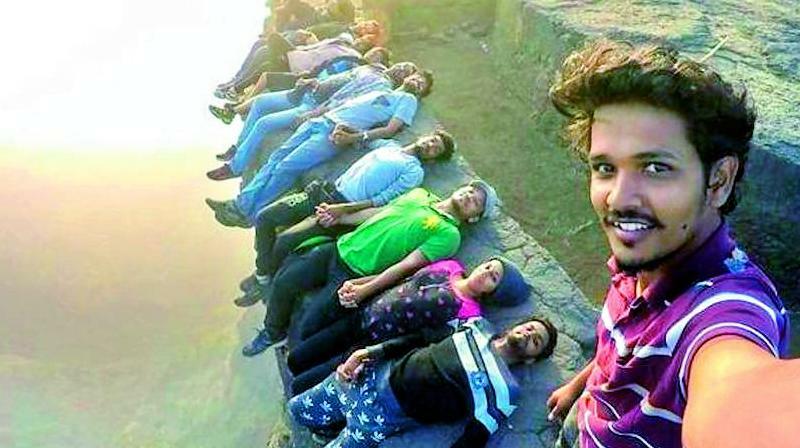 It’s a whole generation out there so addicted to self-portraits, that many of them are even courting danger to click selfies that are edgy, and risking their lives in the process. And some of them are ending up dead in the process. ‘Killfies’ are increasingly becoming a deadly reality and concern in India. Doctors say that Selfitis (selfie-addiction) is a form of obsessive-compulsive disorder to take one’s own pictures and post them on social media and broadly divided it into three types: Borderline (taking at least three pictures, but not posting them on social media), acute (taking at least three photos every day and posting them on social media) and chronic severe (taking at least six photos of oneself every day and posting them on social media). Dr Binu Philip, a psychologist, says, “This is a serious problem. It’s not a vanity issue. It has a lot to do with low self-worth issues too. You want to pose, look good and feel the need to put it on social media so that others comment on it and “like” it.” Concerned about the growing cases of killfies, she says, “There is a huge lack of understanding about the dangers social networking and mobile technology can pose if a young person already has any insecurities — which most do. “Dressing up and taking selfies is something which most people would do but by going to extreme lengths, you are trying to create an image in the minds of other people whereby you hope you will impress them. So your whole focus is not on thinking of the consequences, but more on what other people think of you,” says Dr Binu. The youth fall prey to this addiction because of peer pressure, immaturity and inexperience. “There are comparisons; If someone is not bright academically, teachers are very critical. These things can affect the self-esteem of a child and can remain with a person lifelong. Children need to be empowered,” she says. She says the “high” is all about being “liked” by people. “Youngsters look forward to their friends and family liking and commenting on their selfies. Some of them take as many as 40 selfies in a day. Taking selfies is like any other addiction. One is psychologically so used to having their phone’s front camera on their face all the time. For them, it’s a normal occurrence, nothing dangerous. They don’t realise where the lines have to be drawn to limit this self-obsession.” Dr Arti also feels that the reason behind the growing selfie menace is lack of self-control amongst youngsters. “This is the age of instant self-gratification. Those who have a lot of selfies on their social media profiles are considered to be cool and happy. However, just like most mental disorders, selfie-addiction too is not taken seriously. While all these cases of selfie-deaths are coming up today, there are many parents who think such a thing will not happen to their kids,” says Dr Arti. For youngsters obsessed with self-clicks, the scary side of crazy fun has a thrill all its own. And courting danger has a whole different rush. “The higher I go, the more fun I have,” says an anonymous selfie-addict. He shares, “I can’t remember a time where I was ever afraid of heights. There’s so much adrenaline rushing through my body that I don’t fully realise what I’m doing. Sometimes I think back and say to myself, ‘What the hell was I thinking?’” He says that over the years he has used social media to shock, surprise and delight his friends and followers with aerial shots of the urban world. That means climbing rooftops and mountains and dangerous roads to get interesting snaps. “Luckily, I get to travel a lot and that allows me to climb on several skyscrapers across the globe. While I am afraid that my parents would flip out if they got to know of craziest extents that I go to take pictures, I don’t think I can resist the urge to take a snap.” He says that sometimes he even surprises himself with how far he’s willing to go. 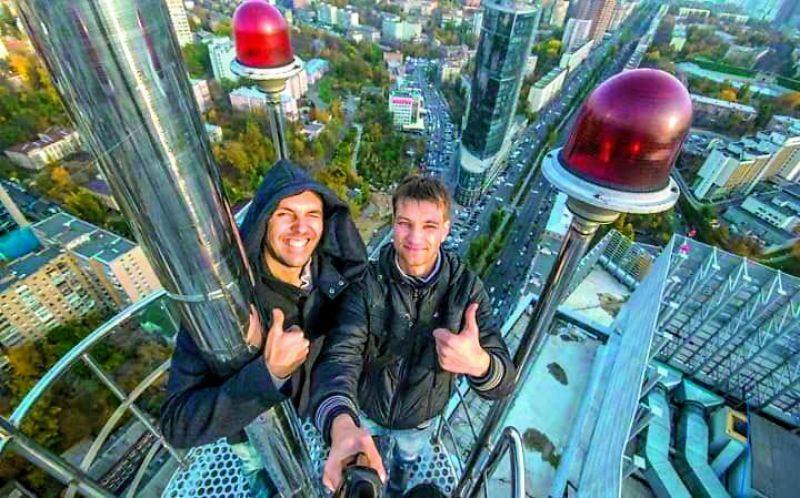 He’s not afraid to tread narrow walkways and peer over the edge of some of the world’s tallest buildings for an extreme selfie. “There was this one incident when I was booked by the police and got arrested with three of my friends in an abandoned building and charged with criminal trespassing, mischief and what not. They confiscated my camera and my phone and I never got them back. But I won’t let that stop me from doing what I do,” he says. Tripty Nagpal, who works as a German translator at NIIT, Delhi shares that she clicks around 15-20 selfies a day. Be it at work, a casual hangout with friends or attending weddings, clicking selfies is something instinctive and compulsive for her. “It is not just for the memories that I click selfies. I do it to upload them on social media for the likes and to grab attention. And when people react to it, you start loving yourself. More than living the moment, we enjoy telling about the moment to everybody else who is not there,” says Tripty. Selfies are also an easy cure for bad moods and that sudden bout of blues for her. “There are so many good filters on Instagram and Snapchat. When I’m not wearing make-up, I use a filter and still manage to look beautiful. With the #nomakeup caption, I upload the picture and manage to get a good number of likes for it,” she says. With Inputs from Garima Arora, Suridhi Sharma, Pratyush Patra.